Device Redirector - Use any local devices in RDP session as if they were plugged to remote side. Redirect any Device to Remote Desktop Session. Device Redirector is a software that allows you to redirect almost every device into the remote Desktop Session. We're reinventing our device redirection apps to make your work in Remote Desktop seamless, intuitive, and more connected than ever. Try Device Redirector now, and get access to more connected tools and services with hundreds of all-new features. Scan with local scanners in remote Windows Session. Works with any TWAIN/WIA compatible scanners. Access local webcams from remote desktop environment. The most convenient solution for redirecting local webcams to a remote desktop session. Two-way sound in remote desktop. 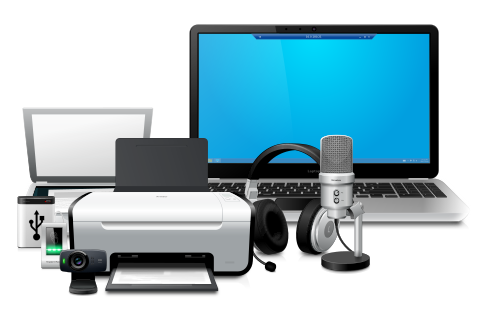 Use any microphones, headphones, headsets or speakers in your remote desktop session. Print to locally plugged printers from remote Windows Session. Print from a remote desktop session to your local printer over Microsoft RDP or Citrix ICA. Access local USB devices as if they was plugged remotely. Redirects any USB devices to remote desktop environments.